This is a fantastic individual detached 4 Bedroom house situated in a rural village. The property has an exceptional level of accommodation with a kitchen / diner with Rayburn Oven, Living Room with wood burner and a Games room with vaulted ceiling. On the ground floor there is a bedroom, study, 2 shower rooms and utility room. 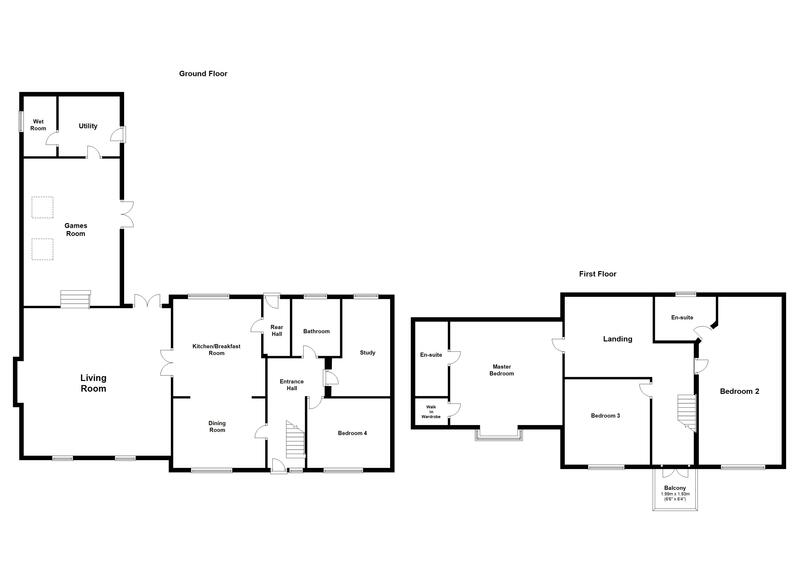 On the first floor there are 3 bedrooms with 2 en-suite shower rooms. Outside the property benefits from driveway and a rear garden. Call now to appreciate this stunning home!!! !